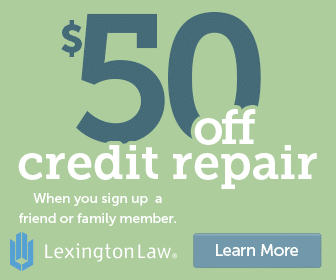 How Do I Get My Free Annual Credit Report from Each Credit Bureau? Strong credit health begins with knowing exactly what is affecting your credit. The way to find this information is by accessing your credit reports each year. The process is free and relatively easy to complete. We’ll walk you through exactly how to request your free credit reports and what to look for once you’ve received them. You’ll also find out what information is included in your credit report and how to check for accuracy. Equally important is knowing what’s not included on your credit report so you know exactly what to expect. Obtaining copies of your free annual credit reports can also help you know if you have been a victim of identity theft. Once you review your credit report for the first time, you can get into an annual rhythm that is part of your financial maintenance. It’s a great way to stay on top of your credit and prepare for major financial decisions. 1 How can you get a copy of your free credit report? 2 Why do you need to check your credit report? 3 What information is included on your credit report? 4 Are your credit reports from the three credit bureaus all identical? 5 Is your credit score listed on your annual credit report? 6 Are your credit report entries permanent? How can you get a copy of your free credit report? The best and easiest way to get a free copy of your credit report is to visit AnnualCreditReport.com. You’re entitled to a copy of your three credit reports once every 12 months; in fact, it’s a federal law. The three major credit bureaus, Equifax, Experian, and TransUnion, operate this website to make it easy to access your credit reports. You can choose to get all three at once or pick one or two at a time. The website makes it easy to access your information online, or you can print out a form to request mailed copies of your credit reports. With this option, you’ll simply fill out a brief sheet with your social security number, date of birth, and address. It takes up to 15 days for your request to be processed, after which time you’ll be mailed copies of your reports. Requesting your credit reports online is a slightly more complicated process. To ensure your financial security is preserved, you’ll be asked to verify your identity through a series of questions. You’ll be asked about specific details only you should know, such as the types of loans you have, when certain accounts were opened, and what outstanding balances you have. Even though it’s information about your personal finances, the questions can be tricky. It’s good to have easy access to bank accounts, credit card information, and loan statements so you can answer each question accurately. You’ll have to do this separately for all 3; Equifax, Experian, and TransUnion. Once you successfully answer the questions, you can download a copy of your credit report. Note that if you answer the questions incorrectly, you won’t be able to access your credit report and will have to mail in the hard copy request form. Why do you need to check your credit report? There are two main reasons you should check your credit report each year. The first is to find out what information could be impacting your creditworthiness. Anytime you apply for a credit card or loan of any type, the creditor checks your credit report. If you don’t know what’s on there, you could be in the dark as to what kind of terms and conditions to expect. You could be getting denied for financing or being charged higher interest rates because of a few negative items you don’t even know about. Or maybe you get the best rates and terms because you only have positive items on your credit report. Seeing what’s on there can help you understand how to stay in that upper tier of credit scores. Knowledge is power and familiarizing yourself with your credit report can help you get on the right financial path. You should also check your credit report for accuracy. With so much data being handled by both credit bureaus and creditors, there’s a chance that some of your information could be incorrect. That could have a negative impact on your credit score, especially if something like a missed payment or high loan balance is incorrectly reported. Review every detail because even if it doesn’t seem like a big deal, it very well could be impacting your credit. Not only that, you may discover evidence of identity theft. Look for any loans or credit cards that you don’t remember opening, especially if money has clearly been spent. That’s a definite red flag that someone has used your personal information and is racking up debt under your name. Immediately contact the creditor to get the accounts closed, and follow up with the credit reporting agency to get those accounts removed from your record. When you request a copy of your free annual credit report, it’s helpful to know what to expect once you receive it. One major section you’ll see is a detailed report on your open accounts, including loans, credit cards, and any other line of credit. With each account, you can see how long it’s been open, its current payment status, current balance, and the highest balance the account has had. Then, you’ll see all kinds of details on your monthly payments, like how much was scheduled to be paid and how much you actually ended up paying. After that, you’ll see similar information for your closed accounts. Your open and closed accounts are organized by mortgages, installment accounts (like car loans and student loans), revolving accounts (like credit cards), and other accounts. Once you get through this information (which can be a lot if you have an extensive credit history), you’ll find a listing of other finance-related data. The first kind is any sort of negative accounts you’ve had. This refers to anything that hasn’t been paid as agreed, like delinquent or defaulted accounts, which can be listed for seven years. Next, is any account that has been sent to collections. Again, that information is listed for seven years. Finally, you’ll see any relevant public records, such as bankruptcies, liens, or judgments. These are imported from federal, state, and county courts. After all your credit data is listed, you can see your personal information, including previous addresses. There may be some employment history and you can also see consumer statements you’ve submitted to defend information on your report. You’ll also find information on submitting a dispute and a summary of your rights. Are your credit reports from the three credit bureaus all identical? While the format and structure of each credit report are similar, it’s very likely that the information will vary among your Experian, Equifax, and TransUnion reports. That’s because creditors are not actually required to report information to any credit reporting agency and may only report to one or two. So one credit report may have more or less information included on it compared to the others. You could be missing a credit card, installment loan, or other type of account. Unfortunately, there’s nothing you can do about it because again, there’s no reporting requirement. You may also discover that a particular creditor doesn’t list your positive payments, but does list your late payments. Everything can vary depending on which report you’re looking at. Consequently, a future lender’s interpretation of your credit history may vary depending on which report they’re looking at. Another reason your credit reports may differ is that input errors or other mistakes in the data collection process. Perhaps your social security number was entered incorrectly or an original creditor sent wrong information without verifying it. There’s no guarantee that every item on each credit report is correct and it’s your job to figure it out. Yes, that means reviewing all three credit reports with a fine tooth comb. If you’re checking your credit for the first time, you might want to order all three reports at once to make sure they look right. If you already do an annual review, you can space out your requests so that you’re checking your credit for free every four months. It’s a smart schedule to be on so that you can consistently track your credit and plan your future financial decisions. Is your credit score listed on your annual credit report? It’s a common misconception that your credit score is included as part of your credit report. However, these are two different things. Even though your credit score is a reflection of the information listed on your credit report, there’s a separate process for getting it. The main reason is that the three credit reporting agencies are separate companies from the Fair Isaac Corporation, which is the company that produces FICO scores. You have to go through MyFICO to receive your credit score or some type of service that gets that information for you. Each time your credit score is pulled, it can vary based on new information that has been added to your credit report since the last time. Plus, since each credit bureau can have different information on your credit report, your FICO score for each one will likely be different. Another interesting development when it comes to credit scores and credit reports is a newer scoring model called VantageScore. This was developed by the credit reporting agencies as an alternative to the FICO score. It now uses the same numerical range to make it easier to compare. 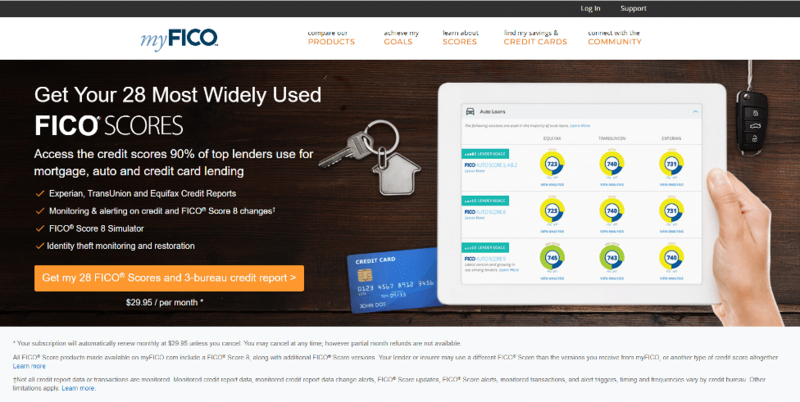 While most lenders still use FICO, the credit bureaus are championing hard for VantageScore. If you need credit monitoring services or want to order extra credit reports from the credit bureaus beyond your annual free one, you can get bundle a deal to access your VantageScore. You can also check for access to any of your credit scores through one of your credit cards or bank. Sometimes financial institutions offer this as a free perk for members and is a great way to access your credit score since it doesn’t come with your credit report. Are your credit report entries permanent? Of course, some data will be permanent, like your personal information. But negative items are not. Credit bureaus may only list negative items for seven to ten years, depending on the type. The one exception is a tax lien, which can remain on your report until it is paid. It’s also possible to have information removed early if it’s incorrect or incomplete. Under the FCRA, you’re legally allowed to dispute anything you think is inaccurate. If an account is listed but is missing key information, you can dispute that as well. If you successfully dispute something on your credit report, you may notice a rise in your credit score, either due to something negative being removed, or something positive being added. That’s why it’s so important to carefully review your entries on all three credit reports. Otherwise, wrong information could be unfairly hurting you. There are several ways you can dispute a credit report entry. Start off by going through the credit bureau. It’s their job to verify the accuracy of the information in question directly with the creditor. They have 30 days to respond to your request. If they can’t verify the information, it must be removed. While you can submit a request for an inquiry online, it’s best to do so via mail so you can keep records of all your communications. Here is an in-depth guide on writing an effective credit dispute letter. Once you’ve cleared up any incorrect entries, it’s good to request an extra copy of your credit report to make sure everything was updated correctly. Just give it a month or so, which allows the credit bureau ample time to fix the mistakes.